KOKOKO! have shared the kaleidoscopic video for their new single L.O.V.E. The video for the track, taken from their debut EP Liboso, pulls down the lights to focus on the musicians and their improvised instruments. Singing the hook is Nyangombe, an up-and-coming singer also from Kinshasa. Directed by Renaud Barret and edited by The Bow, the film is a psychedelic insight into KOKOKO!’s creative process, showing how they create a bass drum kick by clicking a switch triggering a blurt of white noise, as well as footage of homemade vocoders, electric guitars and percussion. Lingwala devil) and his dancers bursting forth from the Lingwala neighbourhood. 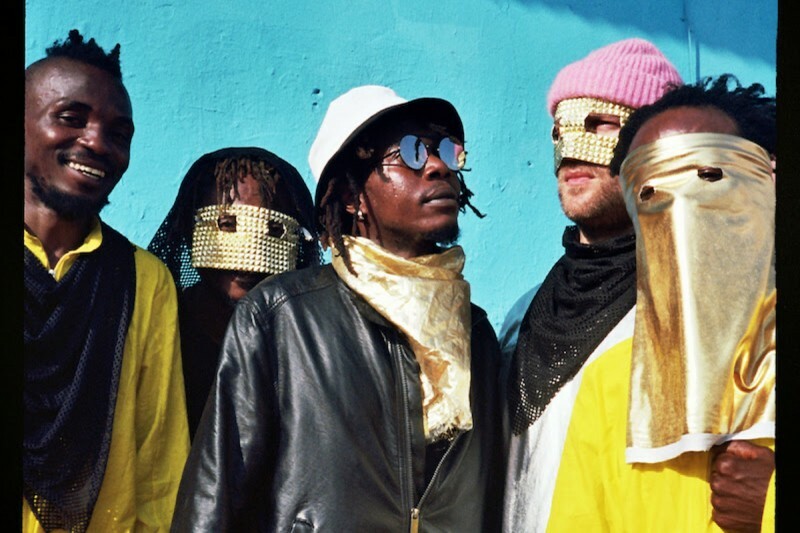 The collective born in Kinshasa, capital of the Democratic Republic of Congo, first drew attention to themselves with their techno sound made by rewiring and upcycling materials like sheet metal, cans, engine parts and plastic containers found in Kinshasa’s streets. Their distorted fast rhythms and spontaneous lo-fi sonics provide a chaotic soundtrack for a hard yet abundantly creative city - Africa’s 3rd largest capital city. KOKOKO! means 'knock! knock! knock! ', conveying the urgent punk feel of their music. The collective have also announced that they will return to the UK and Europe in Spring for an extensive run of tour dates that includes headline performances at London’s XOYO and Babadoum in Paris. The band will then make their first trip to the US for Austin’s SXSW festival, before returning to the UK in the summer for a special appearance at All Points East. Full live dates are below, with tickets available here.